Easy kids’ crafts for mom is such a huge search term for me right now. It seems that everybody is looking for a great craft to do for their favorite person. Well, listen up, Dads. I know Mother’s Day is right around the corner and odds are you haven’t bought any presents yet for that special someone in your life. My husband is NOTORIOUS for stepping out bright and early the morning of and then spending around 3 hours hunting for my “surprise.” I always tell him not to bother at that point. I much rather have him at home with all of us relaxing and enjoying breakfast on my special day. But the boy never listens. 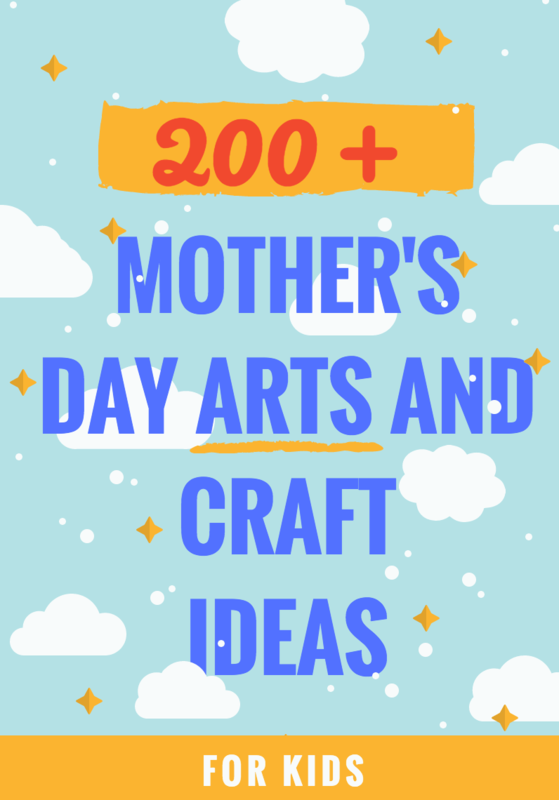 If you are in that boat right now and instead want to opt for a great arts and crafts project your children can do, I rounded up easy kid craft ideas for mom that I know she will love. Here’s a great list of arts and craft projects you can do with the kids that will beat any store bought gift you’ll scramble to buy while on a time crunch. These Mother’s Day presents are all so precious and special! Any single one of them will do!! Talk about a lasting memory. What do you think about these solutions? Right up your alley, I am sure!